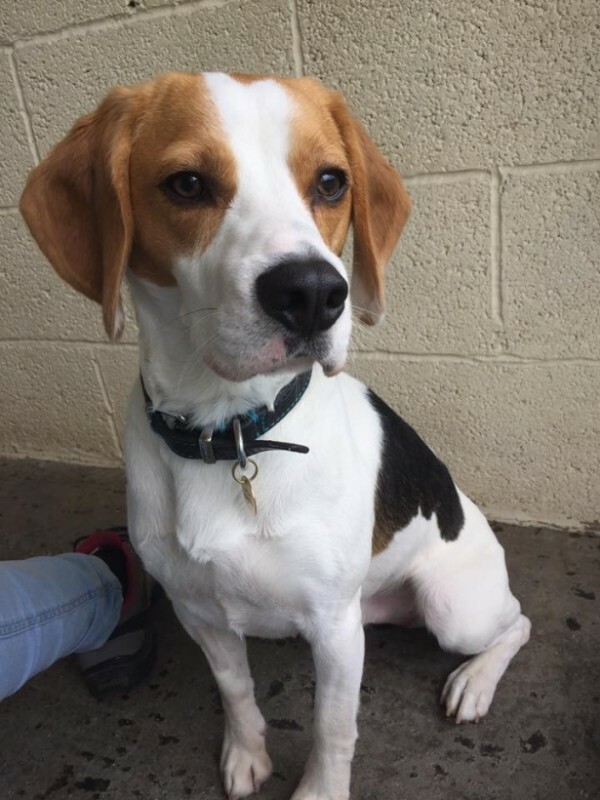 Buddy is an adorable 2 year old Beagle who is looking for a breed savvy 5* home. He is a sensitive boy who takes a while to adapt to new surroundings and he can be a little shy at first, but he soon settles and shows his lovely (slightly cheeky!) personality. We are looking for a home who have experience with his breed, and he does need another dog (ideally another Beagle!) for company. He will need a VERY secure garden with fences at least 6ft as he is a good escape artist. He chases cats, and has never lived with a cat, so a cat free home would probably be best. Buddy has lived with children previously, and would be fine in a home with children aged 12+, but does need a quieter home. He will need a home where he isn’t left for long at all at the moment, he doesn’t cope well overnight if he isn’t with someone. He will also need he exercise and mental stimulation a Beagle needs, and cannot be let off his lead at the moment. Buddy will make a fantastic family dog in a home who know and loves the breed.